Our Territory Covers Central Florida from Tampa to Daytona Beach, and The West Coast from Tampa to Naples. Our in–house, Trained Service Technician, and Professional Engineers can DESIGN, START UP, COMMISSION and TRAIN YOUR STAFF. We are available on a project basis or Annual Service Contract. We maintain inventory Service Replacement Parts in our new Office/Warehouse in Tampa. The following is a listing of the manufacturers we proudly represent and a brief description of their equipment. Learn more about these today! 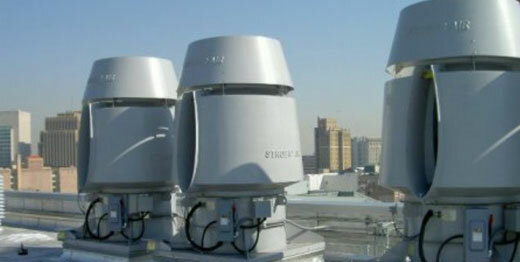 AIRCUITY/OPTINET, Multi–parameter Monitoring systems. Multi–plexed measurement of critical envionmental and outdoor conditions at centralized sensors suites fitted with an array of high quality, robust sensors for CO2, CO, TVOC's, dew point and small particles. Particularly useful in Demand Control Ventilation systems or for Dynamic Control of Minimum Air Change rates for Laboratory installations. Your payback and resulting ROI for this product is amazing. Many lab projects have less than 1.5 year paybacks!!!! Tri–Stack Lab Exhaust Systems for high dilution applications, diesel generator fume exhaust systems and Bisected High Temperature Fans. Developed the first differential pressure airflow station over 50 years ago! AMCA certified and NIST traceable airflow measurement stations available in differential pressure and thermal dispersion. Thermal dispersion technology available with industry leading 32 flow measurement point density vs. Ebtron's 16 point max capability. Patented Outside Air Monitor with ZERO minimum duct runs before or after sensor location.